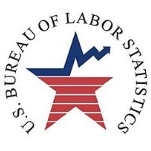 The Bureau of Labor Statistics, which is the research arm of the Department of Labor and the principal fact-finding organization for the Federal Government in the field of labor economics, has a new leader in the pipeline, an experienced labor economist who has spent most of her career working for the Federal Reserve. Dr. Erica L. Groshen, who was nominated for a four-year term by President Obama on February 16, is herself a former union member and official who describes herself as “nonpartisan.” She has not yet been scheduled for a Senate confirmation hearing. Born in August 1954, Groshen earned a B.S. in Economics and Mathematics at the University of Wisconsin at Madison in 1977, and an M.A. and Ph.D. in Economics at Harvard University, in 1983 and 1986, respectively. At Harvard, she taught Labor Economics; Statistical Methods for Economists; Trade Unions, Collective Bargaining, and Public Policy; and Principles of Economics. While still at the University of Wisconsin in 1976, Groshen served as a contract negotiator and union steward for the Memorial Union Labor Organization, a labor union of student workers and limited-term employees at the Memorial Union and Union South on the University of Wisconsin campus. After graduation, she took a job as an economic analyst studying the National Supported Work Experiment, at Mathematica Policy Research, in Princeton, New Jersey, where she worked in 1977 and 1978. She then worked as an economic analyst studying the Minnesota Work Equity Project at Abt Associates, Inc., in Cambridge, Massachusetts from 1978 to 1980. After graduating with her doctorate in 1986, Groshen served as an economist at the Federal Reserve Bank of Cleveland, where she was promoted to economic advisor in 1991, remaining until 1993. At that time she took a job as visiting assistant professor of Economics at Columbia University’s Barnard College from 1993 to 1994, where she taught Labor Economics, Intermediate Microeconomics, and Introduction to Microeconomics. Groshen soon returned to the Federal Reserve, but not to Cleveland. Instead, she joined the Federal Reserve Bank of New York in 1994, where she held a series of positions, including head of international research (1994-1997); head of domestic research (1997-1999); assistant vice president, Microeconomic and Regional Studies (2000-2006); vice president and director of Regional Affairs (2006-2010); and vice president and economist in the Regional Analysis Function of the Research and Statistics Group, a position she has held since 2010. During those years, and immediately before her promotion to vice president, Groshen worked as a visiting economist at the Bank for International Settlements in Basel, Switzerland, from 1999 to 2000. Groshen is married to Christopher W. Bazinet, a biology professor at St. John’s University in New York, and the couple has two children: Oliver and Jeremy.